Freefall is inspired by the exciting possibility of living life comfortably in unknowing. Where the mystery of life happily remains just that…an unsolvable mystery. It is a sonic celebration of the childlike wonder that arises in the freedom of not-knowing. When spontaneity, unpredictability, utter simplicity, and the seemingly ‘everyday’ becomes a constant, unfathomable miracle. Typical sounds you will hear are: lush synth strings, grand piano, electric piano, overtone chanting, choirs and solo voices, flutes, chimes and bells, arpeggiated synth sequences, and countless multi-layered abstract textures. 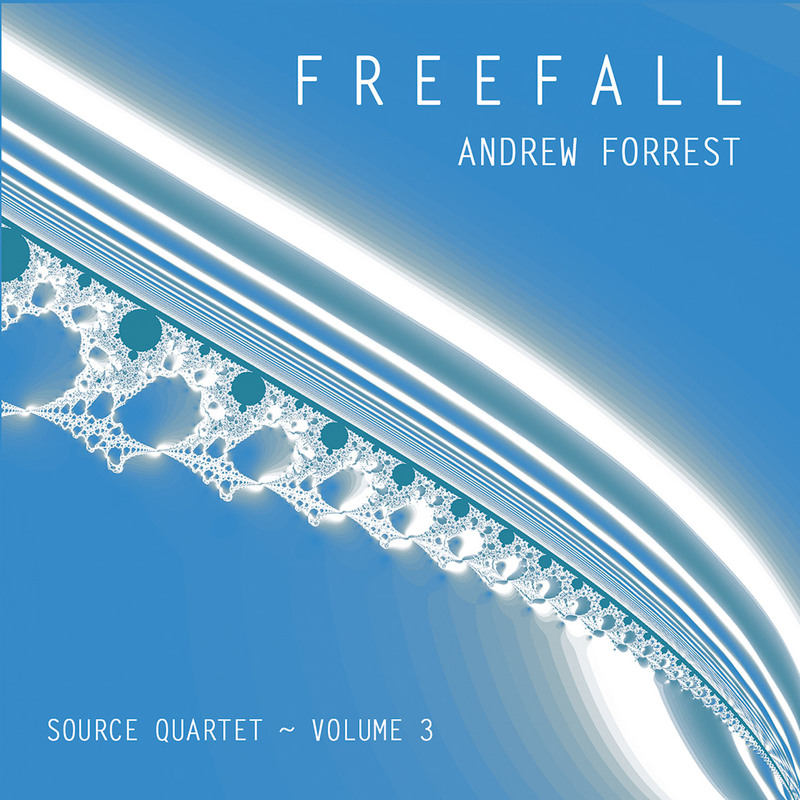 To buy Freefall as a physical CD, please click on “Add to Cart” below. CDBaby: Click here to buy as a complete album download in best MP3 quality. 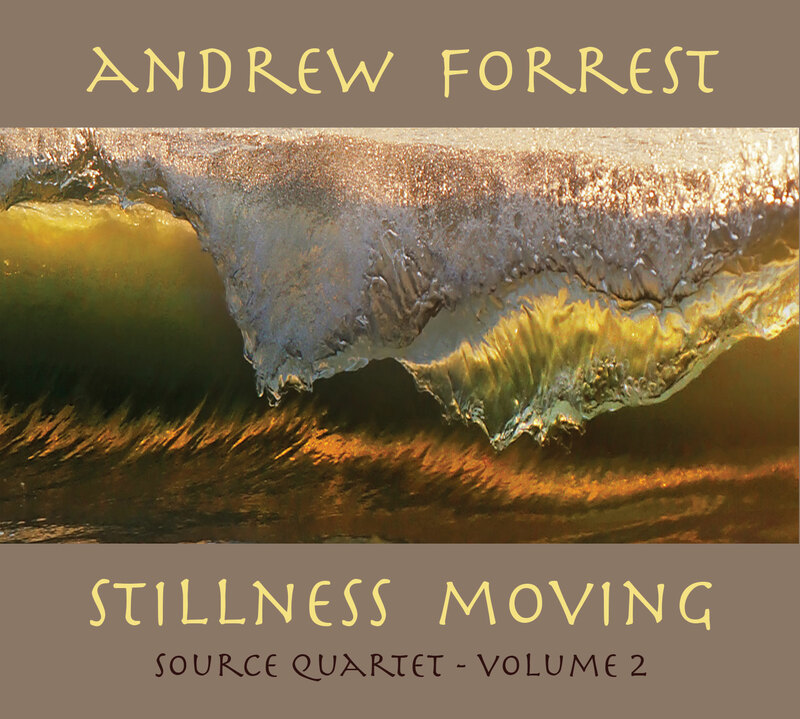 Welcome to Stillness Moving, the second volume of Andrew’s “Source Quartet”. 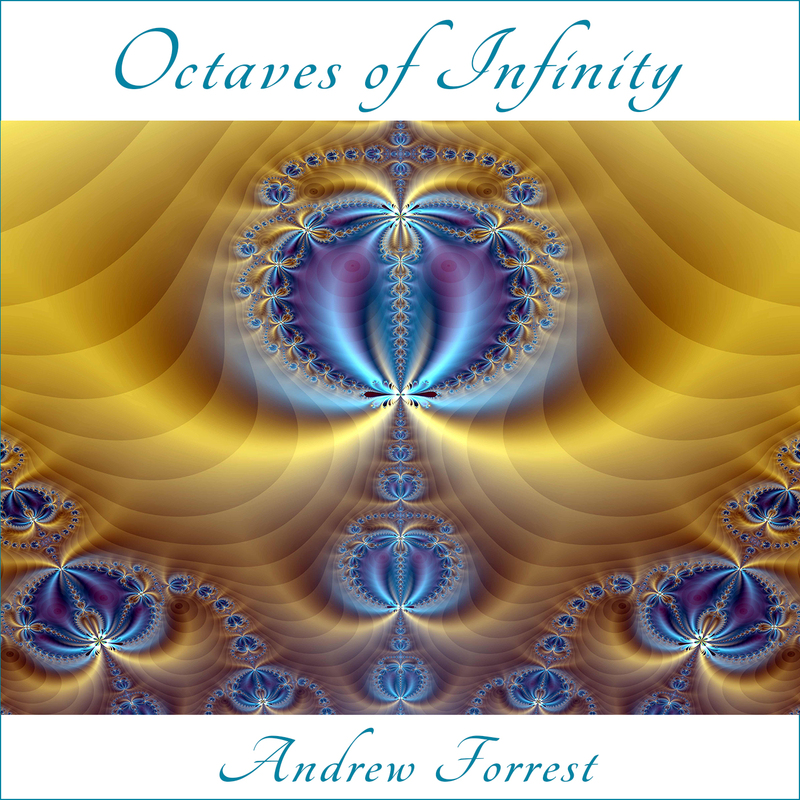 This CD is a musical interpretation of the ultimate non-dual reality, where all movement is seen as an expression of stillness, and all manifestation is seen as an expression of emptiness. The track titles are direct pointers to this existential paradox. The intention from my point of view as composer and performer, is to maximize the positive emotional impact and healing resonance of each piece of music. It features the usual trademark sounds…the interweaving of classical melodic passages, with monumental deep space textures, shimmering arpeggiated sequences, and otherworldly sonic palettes, that take the listener on a transformational, profound, inner healing sound journey. Typical sounds you will hear are: lush and subtle strings, electric pianos, flute, oboe, harp, syncopated bells, Tibetan bowls, chimes, Oriental overtone vocals, classical solo voices, choirs, arpeggiated synth sequences and swirling synth abstract textures. To buy Stillness Moving as a CD, please click on “Add to Cart” below. 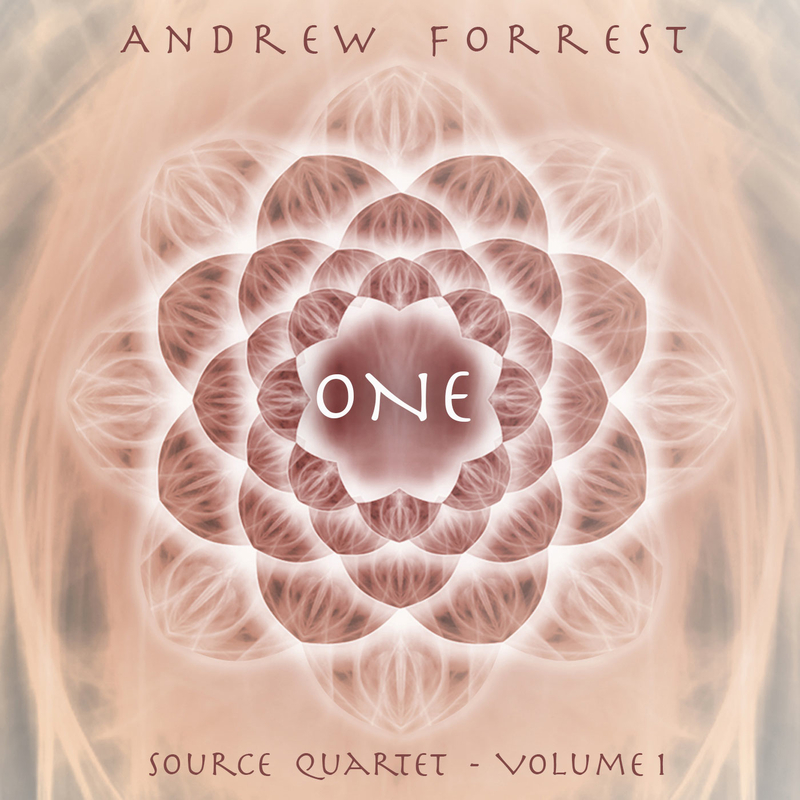 ‘One’ comprises four long instrumental tracks, and is a musical interpretation of the unfathomable energetic shift from the contracted dualistic dream of separation, to the reality of infinite, boundless freedom, or Oneness. Typical sounds you will hear are; lush synth strings, grand piano, electric piano, overtone chanting, choirs and solo voices, flutes, chimes and bells, beautiful arpeggiated synth sequences, and countless multi-layered abstract sonic textures. To buy ONE as a CD, please click on “Add to Cart” below. 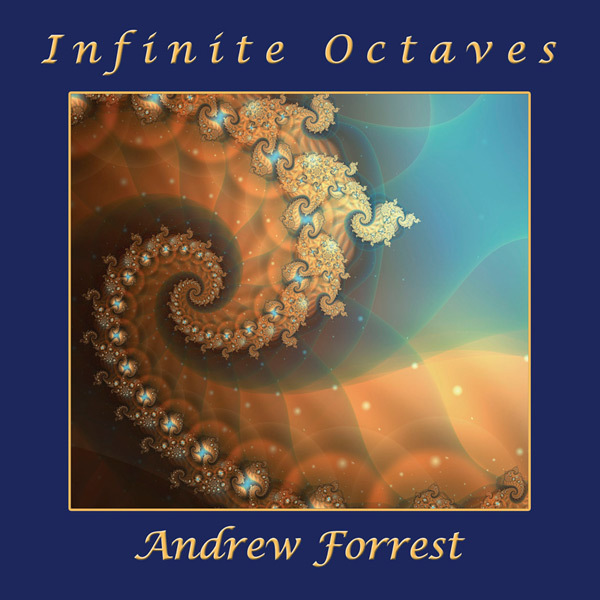 “Andrew’s latest musical masterpiece is his best yet, he has created sounds that speak to our very soul……. So please, if you like music that expands your awareness and takes you to a place of perfection and beauty, buy this! 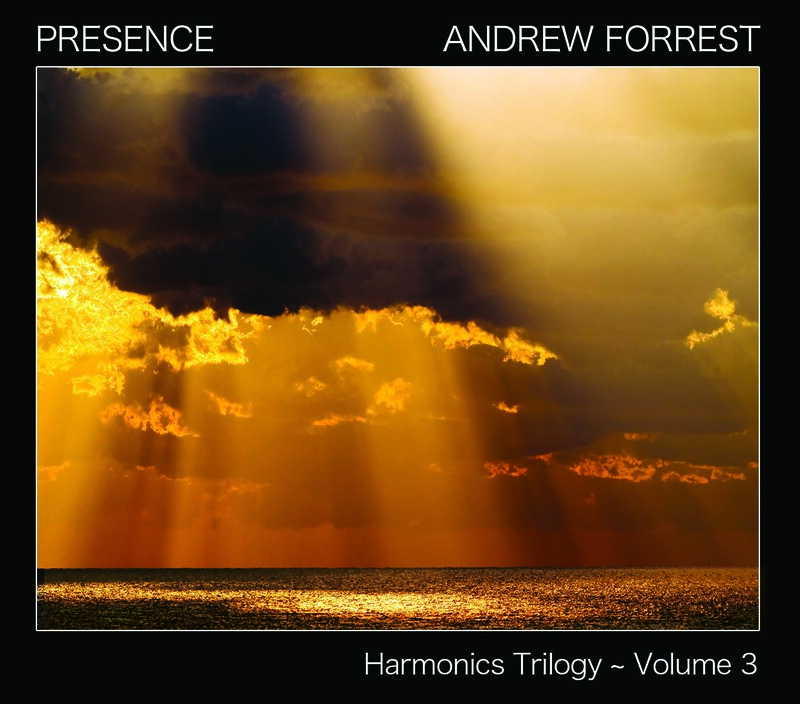 To buy Presence as a CD please click on “Add to Cart” below. “This recording is amazing! The ethereal soundscapes are artfully weaved into an intricate and richly textured sound experience. It relaxes the mind and body while giving flight to the spirit. Because of the depth and richness of sound, each experience reveals a sonic surprise previously missed. You sir, compose like no other musician. This is your best work yet. I am amazed that you continue to surpass your own excellence. 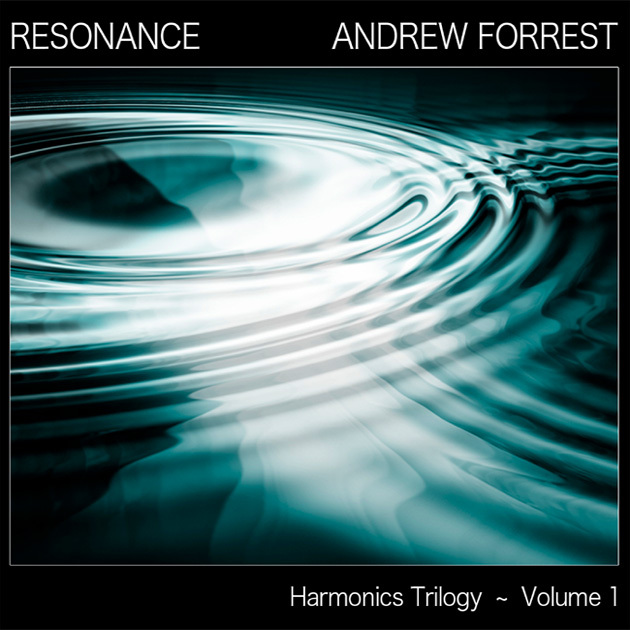 To buy Resonance as a CD please click on “Add to Cart” below. 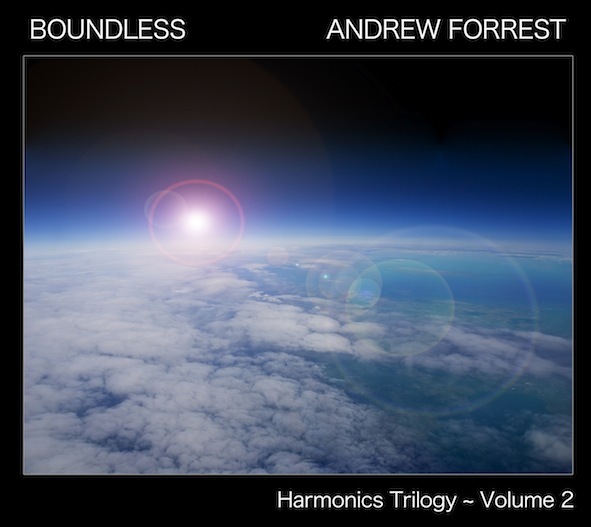 Majestic, powerful, healing, searching, evocative celestial soundscapes. Layers of rich, subtle textures and melody weave into a unified sonic alchemy! This album is heart-centred, expansive, warm, sublime space music. 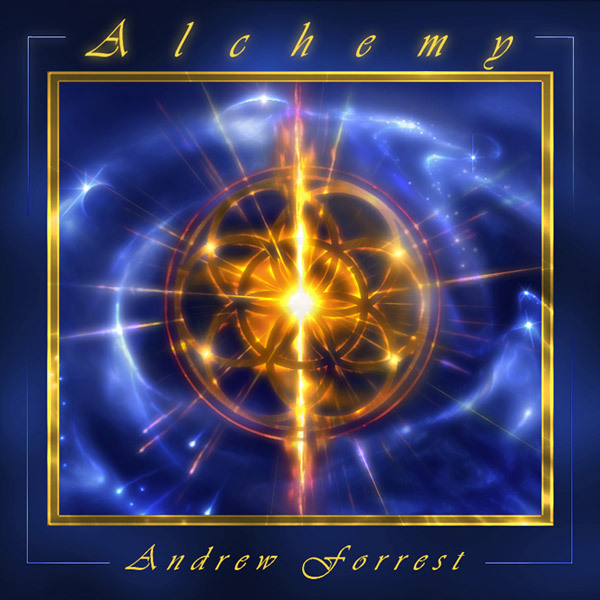 To buy Alchemy as a CD please click on “Add to Cart” below. A sacred marriage of heart and soul, enveloping the listener in enormous, slowly evolving layers of sound; the journey concludes with a feeling of harmony, spaciousness and deep peace. Includes exquisite musical contributions from Nigel Shaw (celtic whistle) on ‘Sacred Marriage’ and Brian Abbott (glissando guitar) on ‘Liquid Light’. Instruments include: Piano, Keyboards, Choirs, Voices, Glissando Guitar, Bamboo Flute, Irish Whistle, Tibetan Bowls and Bells, Indian Tampoura, Harp, Windchimes, English Horn, Violins. An epic, beautiful instrumental space journey, transporting us home to our galactic origins. Constantly evolving, trance-ambient movements, vast abstract textures and profound sonic experiments make this a cosmic music experience that deepens with each listening. 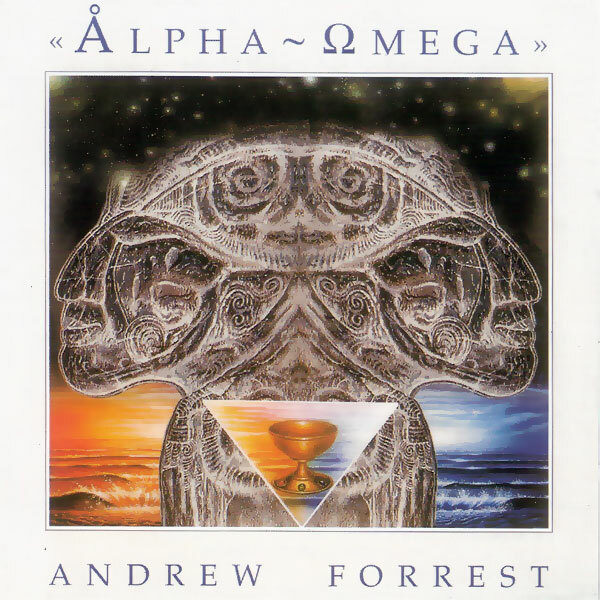 To buy Alpha~Omega as a CD please click on “Add to Cart” below. 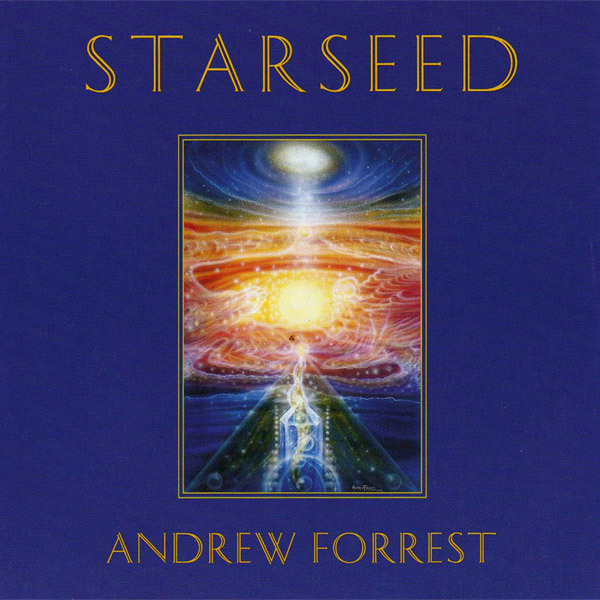 Simply a classic ~ Andrew’s perennially best-selling album, Starseed is a huge celestial soundscape symphony. Profound cosmic meditation and encoded DNA activation, with the haunting songs of humpback whales adding a deeper mystery on track two. 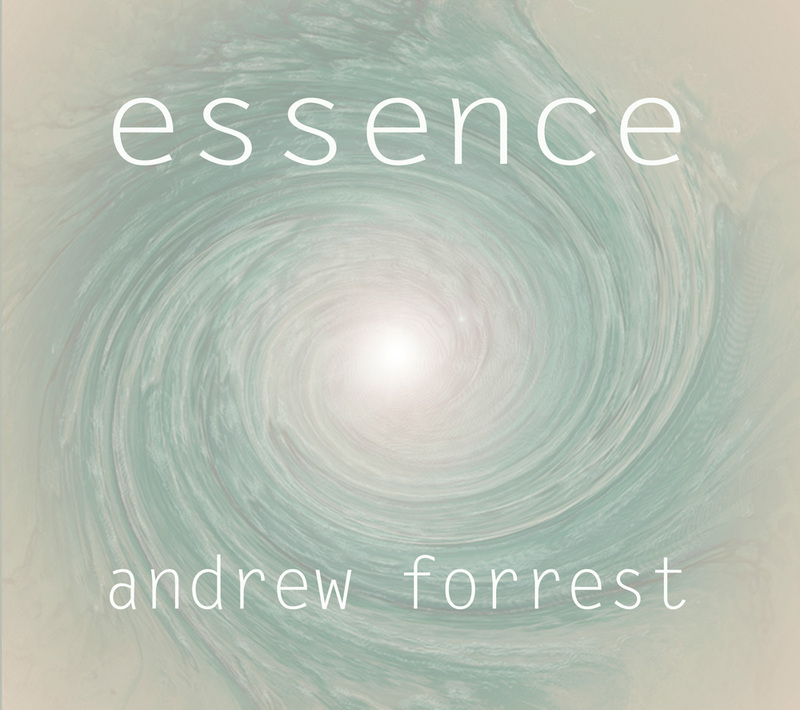 Slowly evolving passages, lush melodic themes, and blissful arpeggio sequences guide the listener to deep inner-space communion. Two 30 minute tracks of sublime sonic beauty. To buy Starseed as a CD please click on “Add to Cart” below. To buy ONE as a CD, please click on “Add to Cart”, or click here to buy as a download at CDBaby.